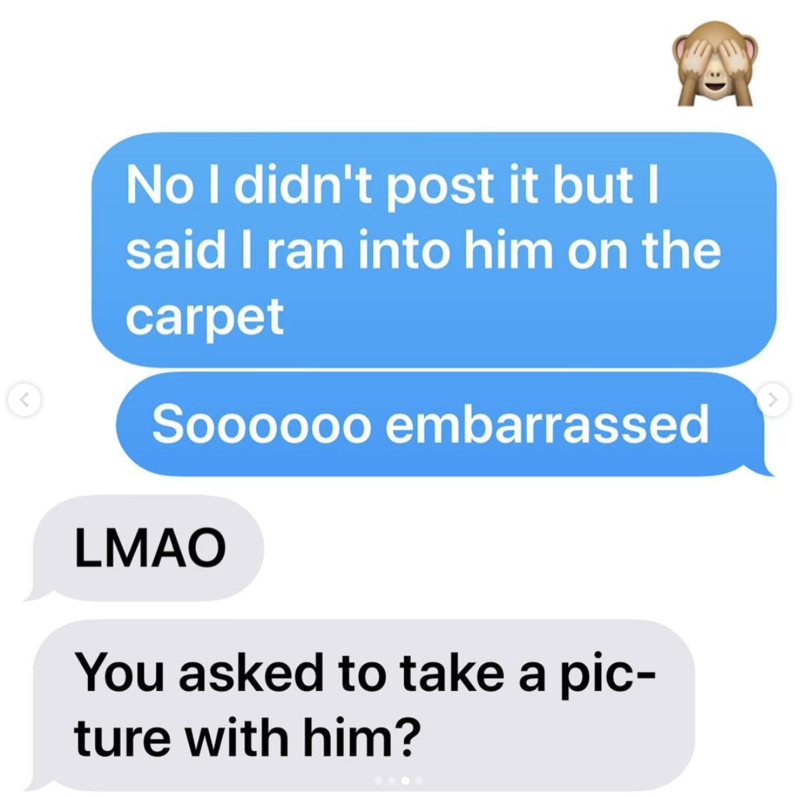 Cynthia Bailey of the Real Housewives of Atlanta shared an Instagram photo on Sunday with a hilarious caption explaining how she ended up with a photo with a random person on her phone. "I ran into this guy last night in the lobby of the St. Regis. I asked for a picture because I thought he was @tombrady," Bailey wrote on the day of the Super Bowl game between the New England Patriots and the Los Angeles Rams. The former supermodel even said she gave interviews the night before at an event "saying how cool it was to bump into" the Patriots quarterback. 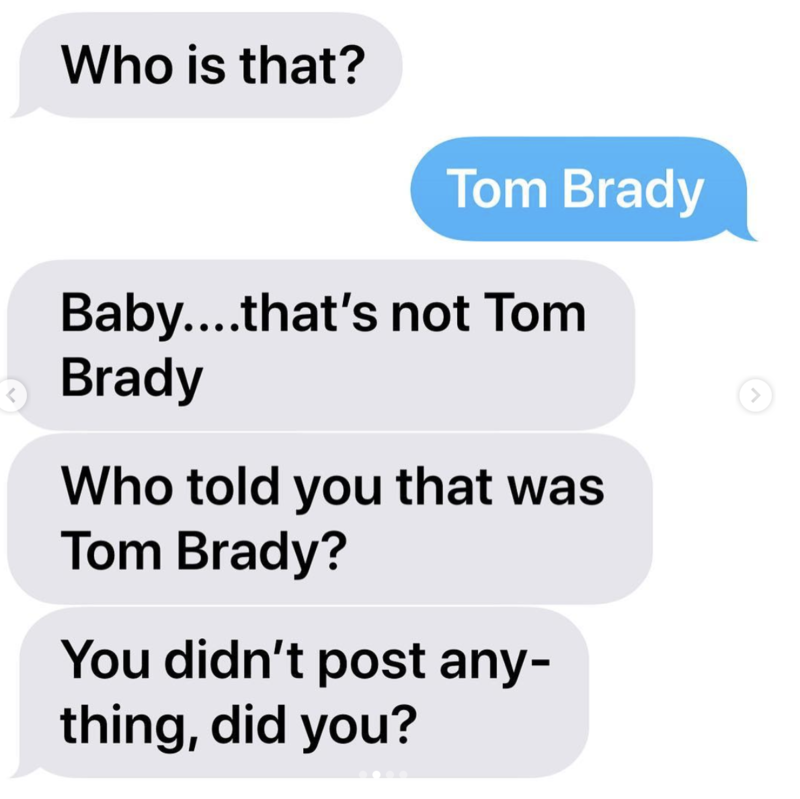 Bailey then included apparent screenshots of texts she sent her boyfriend at the time about her selfie with "Tom Brady." "Who is that?" he asked. "Tom Brady," she responded. "Baby...that's not Tom Brady," he wrote back. "Who told you that was Tom Brady?" "Looking back now at the picture, ok maybe he is not Tom’s long lost twin. But he could be his cousin right or nah? What y’all think?" Bailey asked her followers. Her followers responded howling with laughter. Please bring @itsmikehill with you going forward to all things that are sports related! Lmao," one person wrote, tagging Bailey's boyfriend. "Although I am a certifiable Tom Brady hater, he’s much cuter than this guy...smh," someone else wrote. The rest of the comments are a stream of laughing-crying emojis. Bailey confirmed the incident to BuzzFeed News, adding she's "still laughing and embarrassed" by it. "I actually did red carpet interviews all Super Bowl weekend bragging about how I bumped into Tom Brady and how he was sweet enough to take a quick selfie with me," she said. Bailey is asking for the real Tom Brady to "make this right" and to take a selfie with her at some point. "I also want to find out who Tom Shady really is," she added. "He has some explaining to do." The man who took the photo with Bailey identified himself to BuzzFeed News as Matt Baxte. Baxter said he works directly with NFL teams "on IQ testing of potential draft picks and free agents," and has met Brady on more than one occasion. He said at the time Bailey did not ask if he was Brady, but simply approached him saying they'd met 10 years ago, and for a photo. "I just thought, OK I have no clue who this is but I don't want to be rude, so I smiled and she snapped the pic." He's since reached back out to Cynthia to identify himself to her, and reintroduce himself.